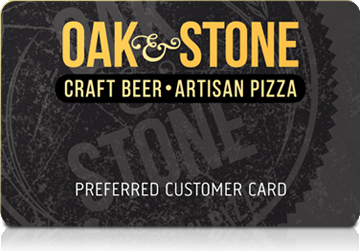 As an Oak & Stone Loyalty Card holder you receive 1 point for every $1 you spend at our participating locations. Accumulate 250 points and receive a $25 reward to use on your next Oak & Stone visit. Opt-in to our Oak & Stone email during registration and get 25 extra bonus points. How do you become a Loyalty Member? Visit your local Oak & Stone and ask your friendly waitstaff about our program. They will provide you with a Loyalty Card during the check out process, loaded with the points earned from your dining experience. For every $1 spent - you earn 1 point. 250 point automatically loads $25 onto the card! Make sure you register your card to check your balance, safeguard in case of a lost card and sign up for emails informing our VIP guests of special we offer to only Loyalty Members. Where should I register my card? To sign up, check points, or to learn more visit oakandstone.com and click on the "Register your new Loyalty Card" button at the top of the Rewards Program page or visit https://www.oakandstone.com/rewards-program-account. Registration can only happen after you have received a card from your local Oak & Stone! Come visit us and ask your friendly waitstaff! It’s easy, just give your loyalty card to your Oak & Stone server and they will add the points on during checkout. Your Oak & Stone server is happy to inform you of your points at any time during your visit or visit https://www.oakandstone.com/rewards-program-account. Once you reach 250 points your card will automatically receive a $25 reward* to be redeemed on your next visit. How do I sign into my account and get more details? Click on the "Register your new Loyalty Card" button at the top of the page or visit https://www.oakandstone.com/rewards-program-account and log in. *Your Oak & Stone Loyalty Card must be present at the time of transaction to receive Reward Points. 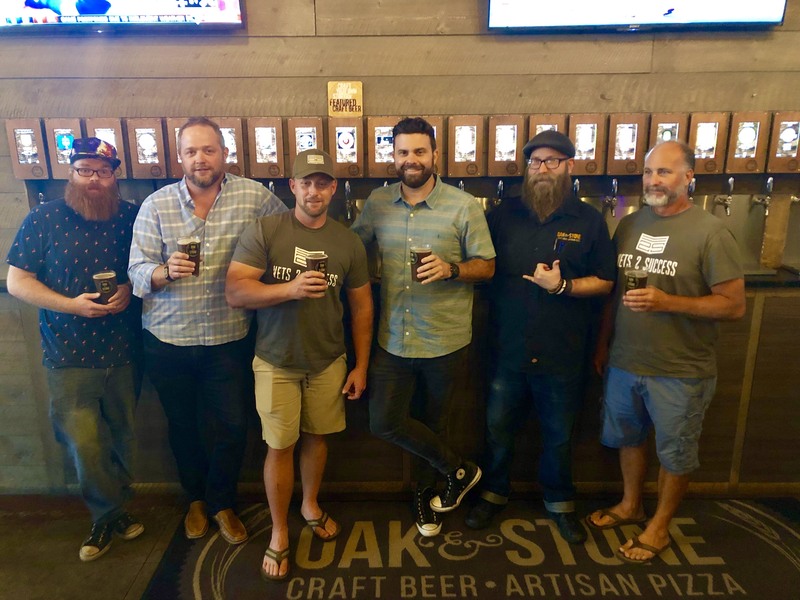 One point is earned for every dollar spent per purchase at any one of our Oak & Stone participating locations. Reward Points are accumulated for all purchases excluding gift cards and events. Ask your Oak & Stone server if you have any questions.